All Team Buckeye members must register for Pelotonia by going to the Pelotonia website and then select the appropriate link for rider, virtual rider or volunteer. Registration fees increase throughout the year so register early to avoid additional costs. During registration you will have the opportunity to join a peloton (team) that is part of Team Buckeye. When prompted to select a peloton, click the drop box and scroll through the roster of teams looking for the prefix Team Buckeye (for non-student faculty, staff and alumni) or BSR (exclusively for Ohio State students). Select a team name and complete registration. If you're an Ohio State student, join Pelotonia as a Team Buckeye Student Rider. As a BSR member, the fundraising commitment level is greatly reduced based on the ride distance selected. During registration, all BSR members must include OSU STUDENT in the occupation field to ensure they are connected to a student peloton. BSR members riding in Pelotonia must join a BSR peloton to maintain the reduced fundraising commitment levels. Registration fees increase throughout the year so register early to avoid additional registration costs and to get an early start on your fundraising. Every Buckeye counts! If you are a virtual rider or volunteer, please be sure to join a peloton connected to Team Buckeye! You don't have to be on a bicycle to be a part of this amazing community. You can register as a Virtual Rider and fundraise to support cancer research at the OSUCCC – James. Virtual Riders do not pay a registration fee and commit to raising a minimum of $100. 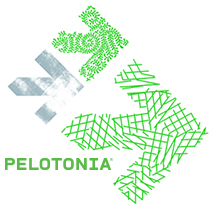 For more information, visit Pelotonia's Virtual Rider webpage. All Team Buckeye virtual riders will receive a T-shirt, and those who raise $250 or more by Aug. 16, 2019 and will be entered into a drawing for two tickets to a Big 10 Ohio State football game (game to be announced at a later date). Need help raising funds? The Team Buckeye Raffle is your ticket to raising easy funds. Pelotonia simply doesn't happen without an outstanding group of volunteers. There are many ways in which our volunteers make the event happen - and for you to get involved. To learn more information and see a list of volunteer opportunities available throughout the Pelotonia weekend, check out the Pelotonia Volunteer Info page. Once registered, be sure to connect to a Team Buckeye peloton. How do I find a peloton? To join a peloton, please select a Team Buckeye peloton during the registration process or login to your profile page and select “Manage My Peloton / Join a Peloton” to select your peloton. An email will be sent to the Team Captain advising that a new member would like to join the peloton. You are officially a member of a peloton when you see the peloton name listed on your Pelotonia profile page. How do I create a peloton? A peloton must have at least five total members including riders, virtual riders, or volunteers before it can officially be activated. To create a new peloton, you’ll need to identify one member as the Team Captain. Once registered, the Team Captain will log into their profile and click “Manage My Peloton: Create a Peloton” to get started. Remember that all Team Buckeye peloton names must start with the prefix “Team Buckeye –" for faculty, staff, alumni teams or with the prefix “BSR – “ for teams created by Ohio State students. The Team Captain and a peloton administrator are responsible for various administrative, fundraising and engagement opportunities for the peloton's members and are the official link between the peloton, Team Buckeye and Pelotonia staff. Please note! If you are stepping up to be a new Team Captain for a previously existing peloton, please email TeamBuckeye@osumc.edu so we can change the name of the team captain in the system. The “Reactivate My Peloton” prompt on a profile page is only visible to the team captain of record so if you are a new captain, we need to change the record in order for your peloton to be reactivated.